okay guys i need a little help here. 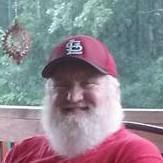 I am one of the santas at santas castle in storm lake iowa. Most of our guys are the once a year type. we are getting a few more that want to be the guy in red alittle more often. WHat i would like to do is have a sort of training so our quality is the best it can be. I know we have all see the the guys that are picked at random, because they kinda fit the siut. So is there any formal resources out there that might help guid me along. i know we have this wonderful resource here. i have ofcourse taken away a lot of knowledge here and i am no where near done. Any tips or suggestions would be greatly appreciated. If you are really interested in improving yourself, there are many ways,,,,,there are formal schools such as the Charles Howard School, There are schools that travel into your area such as the University of Santa Claus by Tim Connaghan, There are many books such as "Behind the Red Suit', "Becoming Santa" and others. This site is a wealth of knowledge. Don't be afraid to post any questions.....there are no stupid questions here, we are all here to learn. This is 75th year so if young Santa would like to go this year he beter get in tuch with them ASAP class is in Oct. I am new to this site and need help on posting, chatting, etc. communicating here. Yes, Like you have seen there are several methods to learn. Not only the Charles Howard school, but also the Victor Nevada school in Canada. That is excellent too. There are many traveling schools, Such as the one mentioned about Tim, but Gary Casey has the Santa Claus Acadamy and AORBS has the Santa Institute. Then there are folks like me that also travel. Tim has a book out, I have a book out. I am sure that once the Yelleg school gets going, it too will have a book out. Yelleg's school is the only free one. I believe I am the next cheapest since I am not interested in making a hugh profit. I just like my expenses covered. Feel free to write me and I will send you all the different school connections I know of. I am at FunWithSanta@gmail.com. Having fun is the most important part of it all. Another good resource to learn and learn a LOT in a short time is by attending the Workshops offered at ClausFest, A Santa Claus Convention that is being held in Gatlinburg, Tennessee March 18-21, 2012. We will have workshops on " Santa & working with the Media, "How to make your own Walking Stick" Guidlines to accessorizing your Santa Suit and overall Santa 'look'. Hair and Beard care by Cindylu which includes a step by step guide for the Naturally Bearded Santa regarding the bleaching process, Professional Instructor on the American Sign Language and many, many more. Additionally, you will have many hours of fellowship with other Santas from all over the Country and even Denmark! Check out the Website at www.Clausfest.org and the blogspot at www.Clausfest2012.blogspot.com. There are also many MRS. Claus Workshops if you have a Mrs. Claus that also would like to learn. There's something for everyone at ClausFest in Gatlinburg. Don't miss out on a great opportunity.